If you have never taken a cruise before then you absolutely should! Cruises are an amazing way to visit a destination and maximise how much you see whilst you are there. 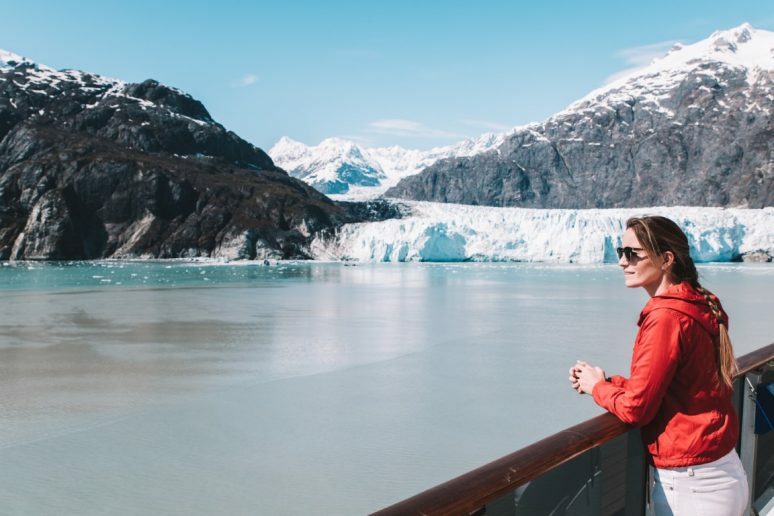 After taking two cruises in Alaska I have collected a bunch of tips and advice that I think will help first timers to plan for the cruise, make the most of their time on board and above all have fun! 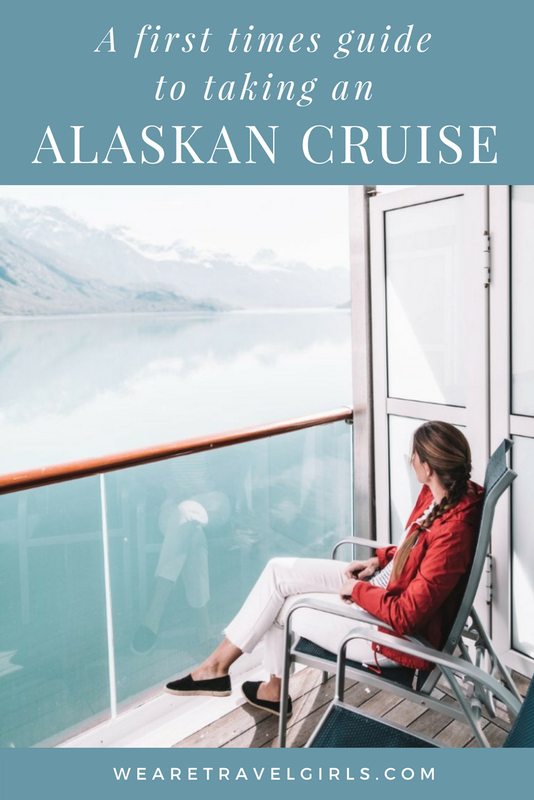 My most recent cruise was with Carnival Cruises in Alaska and in this guide I share my top tips for joining an Alaskan (or any other) cruise! First things first, before you even start thinking about what items to pack you probably are wondering if you can take a suitcase, or if you should have a soft bag for a cruise. 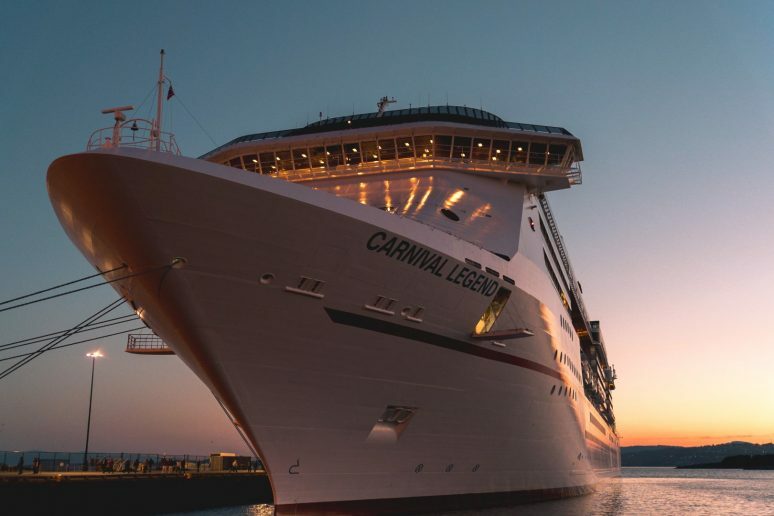 Cruise cabins are not huge, but they are well designed to maximise the space and provide large wardrobes, plenty of drawers and usually space to store your hard shell suitcases. On our recent cruise with Carnival we had two large suitcases (around 20kg each) and we had plenty of space to hang up all of our clothes and store the cases in the wardrobe. However, if you prefer travelling with a soft bag this will also ensure you can tuck it away in a wardrobe too. In terms of clothing for an Alaska Cruise, definitely bring warm items and most importantly a windbreaker jacket. Even when the sun is shining and warm (which we were lucky enough to have through the week), the wind on the upper decks can be chilly. 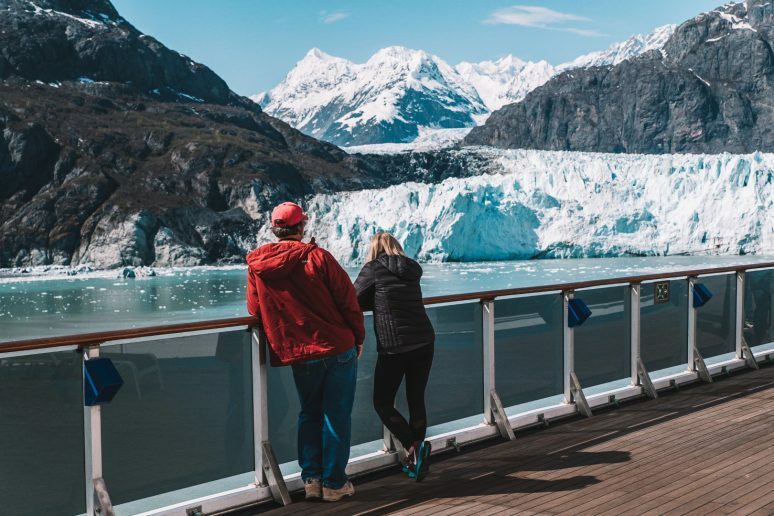 One of the best parts of an Alaskan cruise is that there is usually a beautiful landscape to enjoy as you sail so you will want to be on deck for most of it. Bring some hats, gloves, good walking shoes or boots, and other warm weather gear for your day trips. A rain jacket and umbrella is also advised as Alaska weather can often be overcast and rainy so be prepared for that. 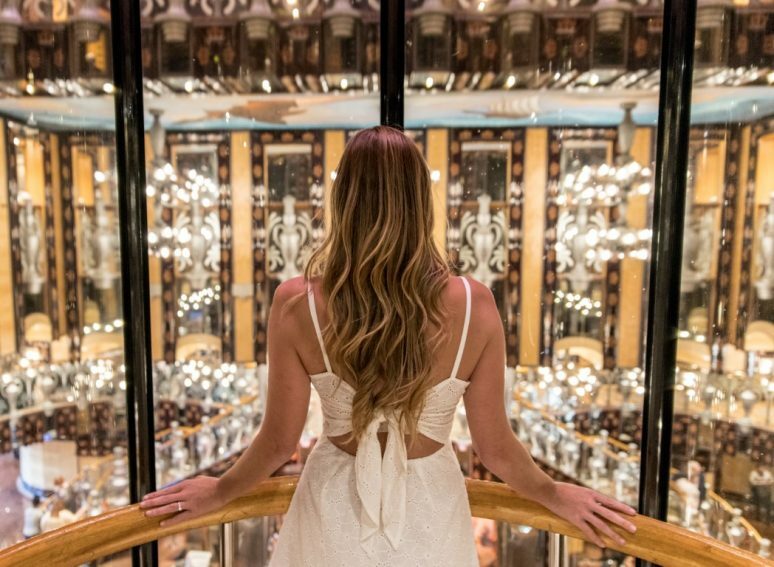 For the evenings, there will be at least two “elegant” evenings where everyone on the cruise dresses up for dinner and drinks. Men will wear full suit and tie or even a tux and women can wear their best dresses. So make sure that you bring a couple of elegant outfits for these evenings, and if you like to dress up it’s nice to do this even on the casual nights! For most people cabin selection will be based on your budget but there are a few things to consider when selecting your room and whether its worth upping your budget a little to get a room you truly love. There are a variety of state rooms, and I think the first choice is whether you want an interior room (no windows), a sea view room (has a window), a balcony room or a suite with balcony. 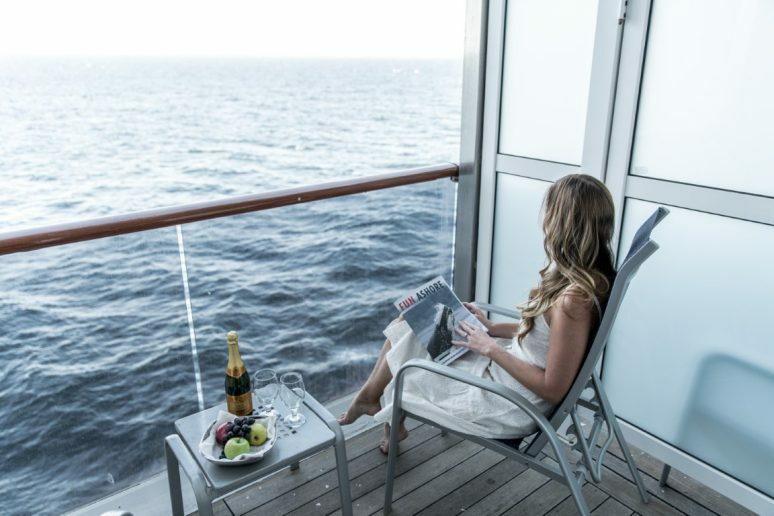 If you are claustrophobic or get a little seasick, then going for a room with a window or balcony is essential. We enjoyed a balcony room and found this was such a great way to be able to enjoy the sailing days, relaxing on the balcony, book in hand, waiting for a whale to swim by! The second consideration is which part of the boat you want to be on, the back, middle or front. Honestly, I personally don’t think this is as much of a consideration as selecting which room type you go for. The selection of which location is usually based on what you want to be close to, but with activities on board all over the boat you will be walking from one end to the other no matter what. One thing to check if possible is that you are not in a middle corner room. Our room was on a corner in the middle of the ship where the next section of cabin rooms and balconies jutted out farther than ours to one side. This meant we had a large wall next to our balcony completely obscuring the view to the left and front of the boat so could not see anything ahead of us when we were sailing. This cruise was my second time visiting Alaska, and both times I visited in mid-May and was blessed with absolutely amazing weather with sunshine and clear skies everyday. Based on my experience I would definitely recommend going in May, however if you are interested in seeing the salmon season and capturing photos of the bears fishing for salmon this is later in the season between mid-July and mid-August. Boarding a cruise is probably the only part of a cruise that can be a bit slow. You will receive information beforehand about boarding times and what time the ship departs, these are important to follow – the ship will not wait for you so make sure you know your ship departure time and have flights that arrive in plenty of time to get you through the airport, to the dock and through the boarding process. Personally I would advise arriving a night before so that you do not have to worry about this. Once you arrive at the port, boarding can be slow. There will be several lines to hand in your luggage, show your passports, check in and then waiting for your boarding group to be called to get onto the boat. As long as you are prepared for this, its really not a big deal and just know that you will spend a few hours getting on board – but once you are on-board the fun begins! If you don’t want to line up then you could purchase priority boarding which allows you to skip the queues and be first on-board the boat. This really is a wonderful luxury and I would recommend it! 5. ONCE ON-BOARD – INSIDER TIP! My first timer’s tip for once you get on-board the boat is not to head straight to your cabin, but to take a tour of the entire boat and get yourself acquainted with everything on-board. 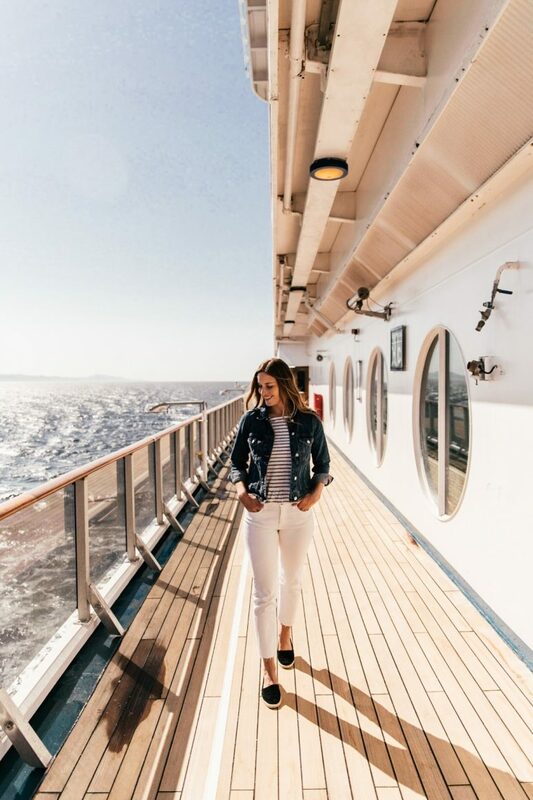 When we arrive in any new travel destination we always take a walk and familiarise ourselves with the area, and on-board a cruise is no different. 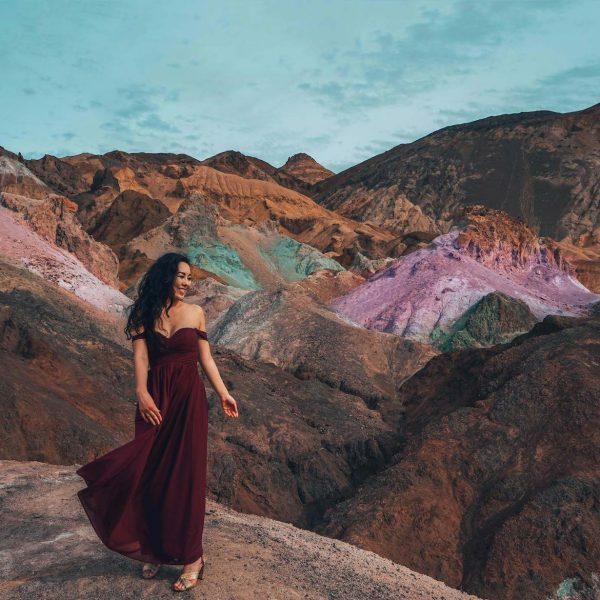 Also, depending on the cruise you are taking this gives you an opportunity to get ahead of the other guests and book yourself into your preferred restaurant or pick the excursions before everyone else does. Perhaps the hardest part of the cruise is deciding which activities to take and making sure that you get the ones that you want. In your cabin you will find a detailed document with all the excursions available and there are a lot! My suggestion is to go through the document and star the ones you think appeal to you, and there are usually a few slightly different variations of each trip. 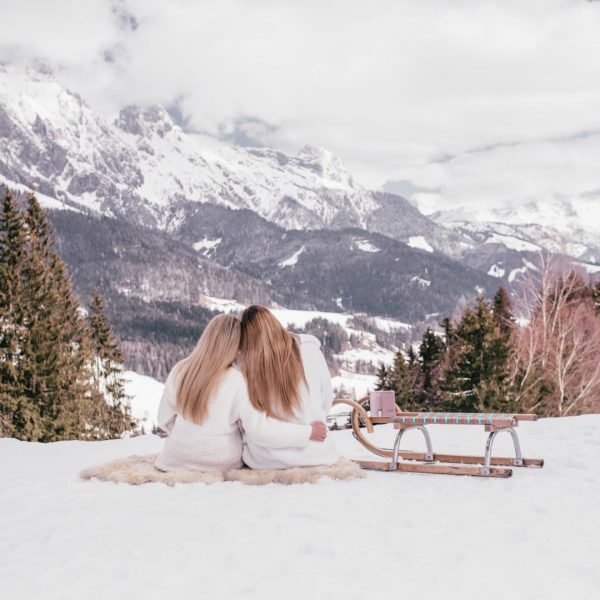 For example, there will be whale watching, whale watching with lunch, and also whale watching with both a glacier trek and lunch, so it’s hard to know what to select. Once you have your general picks, head down to the activities desk and have a chat with one of the representatives. They usually have their favourites and will help you decide between the myriad of options available. 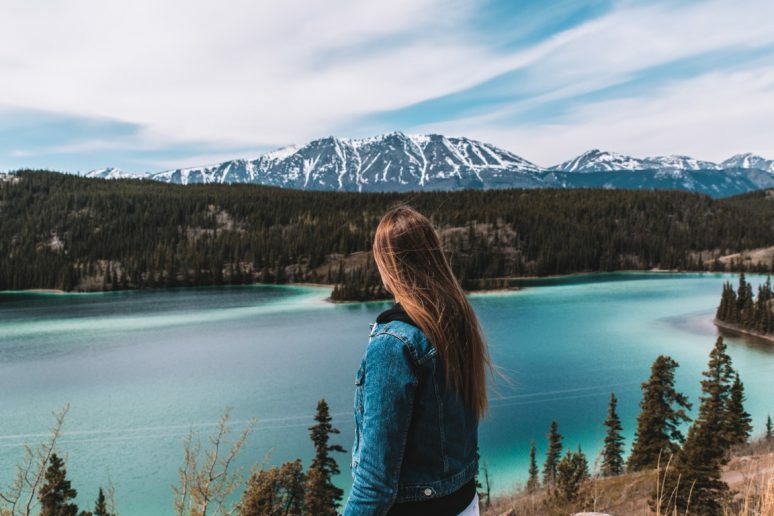 In Alaska, I suggest that you do the following activities on the port days: In Juneau the helicopter and glacier walk, in Skagway the White Pass and Yukon Full Day trip, and in Ketchikan the lumberjack show or the flight-seeing seaplane. A big part of visiting Alaska is making sure that you see the wildlife. One of the great things about taking a cruise is that you can see this right from the boat. When you are on-deck or wandering around the boat, the on-board naturalist will call attention to any wildlife that is seen throughout the cruise. In Alaska this will include orcas, humpback whales, dolphins, sea otters, eagles and even bears if you are lucky! When you are in your cabin, check the TV channel schedule and tune into the naturalist channel so that you hear when something has been spotted from the side of the boat and you can either quickly head to your balcony or, if it’s on another side of the ship, run up to the main deck. 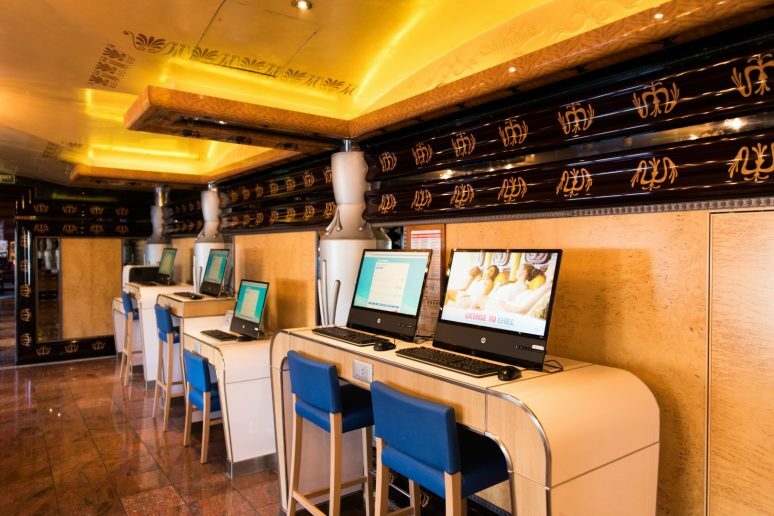 Wifi on board cruises is available at an addition fee and depending on whether you need it for work you can make a decision on whether you think the additional cost is worth it to you. It’s also worth noting that the Wifi is relatively slow so make sure to finish any urgent work or large downloads/uploads before boarding the ship. 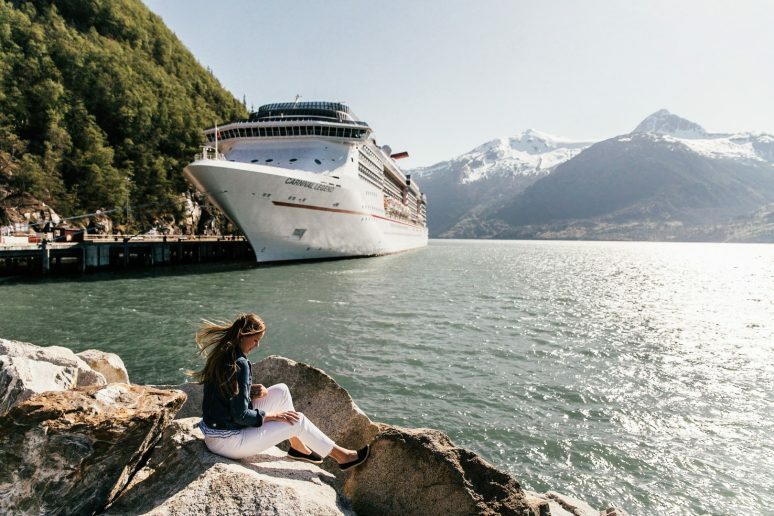 I personally think taking a cruise in Alaska and having the opportunity to switch off from your phone to enjoy your surroundings is a good thing! Another note is that whilst you are travelling by cruise you will likely travel into international waters and your cell provider may charge you some hefty fees if you have your service turned on, so make sure to turn off your roaming and stick to airplane mode whilst on board. With so many people on board, viruses, coughs and colds etc can spread quickly among passengers. A good rule for you is to bring some handbag sized hand sanitiser and use the hand sanitiser’s provided around the boat and in the buffet areas every time you see them. On a cruise you really can’t wash your hands too many times, so be sure to keep yourself healthy by practicing good hygiene. One of the really helpful things on the cruise was the Carnival App which details everything you need to know about what’s happening on board, the daily activities, ship port times etc. We found this app really helpful to plan what we wanted to do on board. With so many options it is hard to keep up with the daily schedule, but the app allows you to favourite things you are interested in so you can be reminded of the times and not miss out on anything fun you want to do! 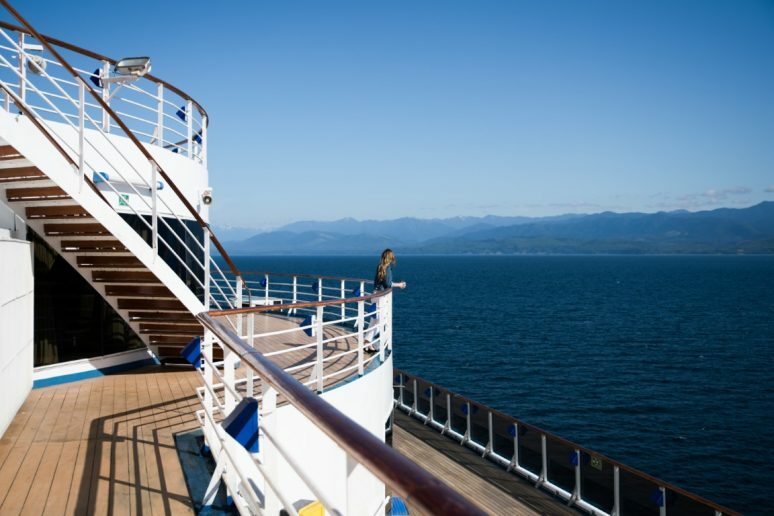 We hope that this article has inspired you to visit Alaska on a cruise. If you have any questions about the destination, please leave these in the comments below. 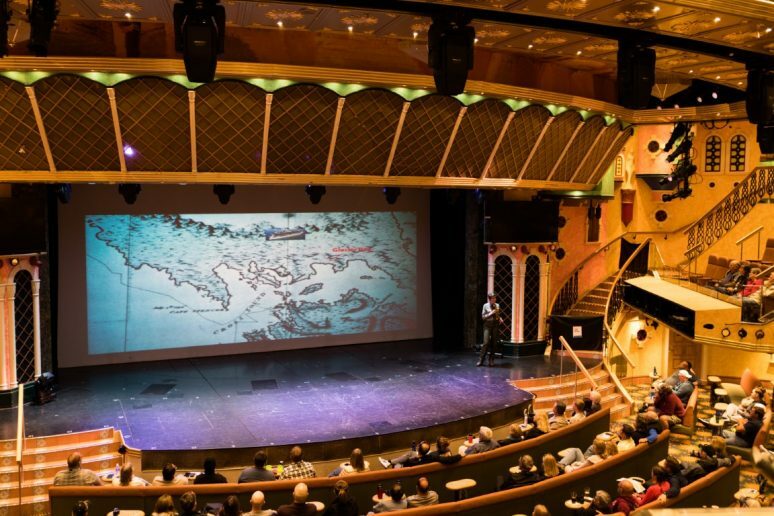 This article is a paid partnership with Carnival Cruise line, as always all opinions are my own and reflect my true experience on the Alaska cruise. This website is a free resource and to keep it free for our readers we may use affiliate links in our articles. Please see our Disclosures for more information. Awesome article!! I appreciate your article you have shared here excellent information. It’s helpful for us. Thanks for sharing this article. 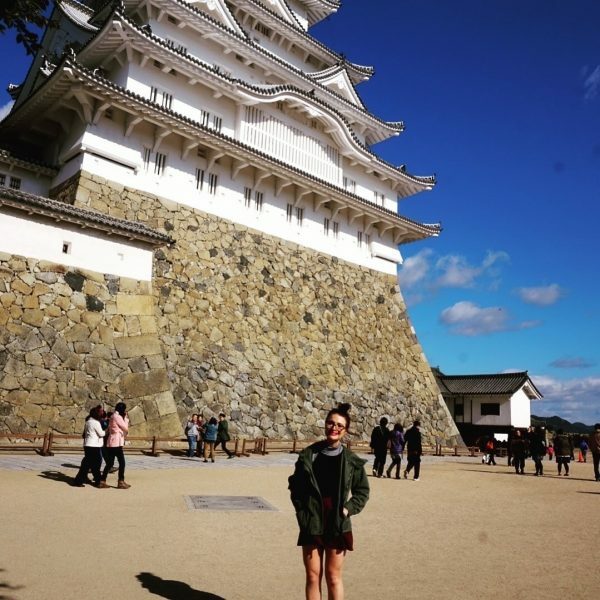 Your photos are so great! Would love to see more!